it’s not to fear the unscripted but to embrace it." With one of the most recognized voices in sports broadcasting, Ernie Johnson, Jr. is a tireless perfectionist when it comes to preparing and delivering his commentary. 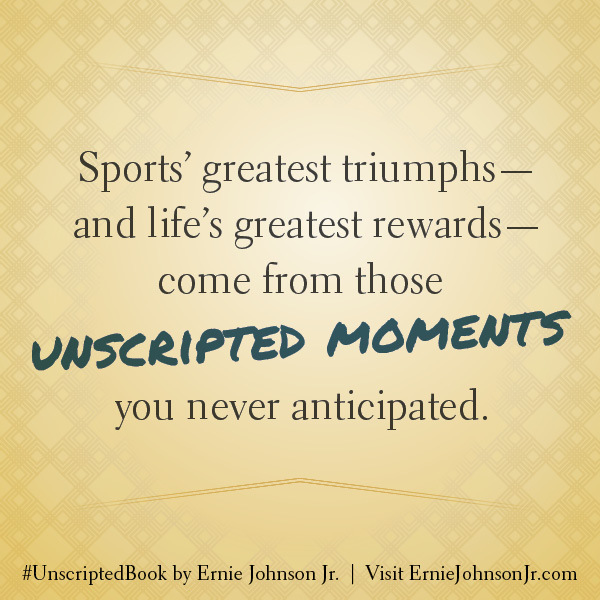 Yet he knows that some of sport's greatest triumphs—and life's greatest rewards—come from those unscripted moments you never anticipated. 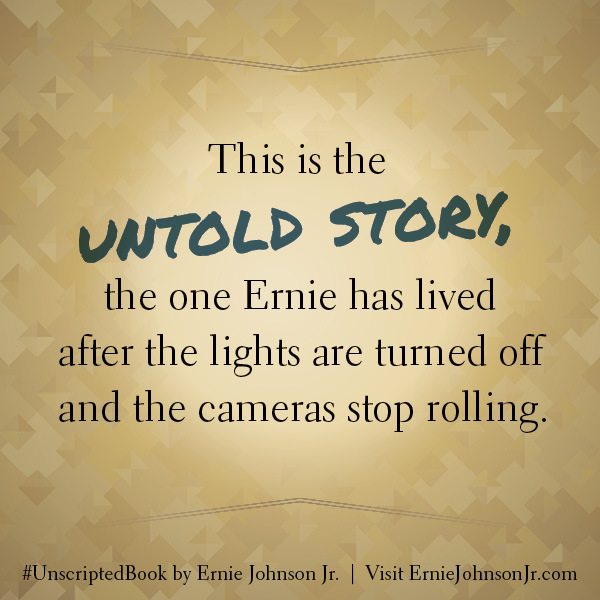 This is the untold story, the one Ernie has lived after the lights are turned off and the cameras stop rolling. 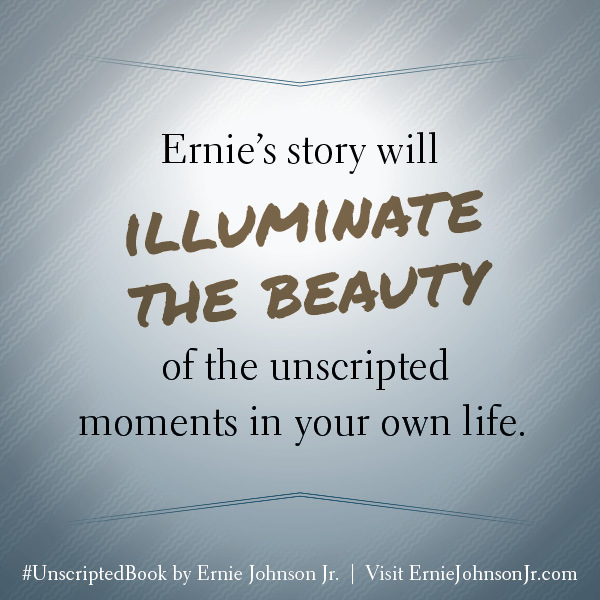 Whether you're a sports fan, a person touched by cancer, a father or son, an adoptive parent, a caregiver to a person with special needs, or just someone who loves stories about handling life's surprises with grace, Ernie's story will illuminate the beauty of the unscripted moments in your own life. Ernie is humble, extraordinary, a great man of our time. At least that's what his friends have said and that was just when we asked them about his book. Most recognized for hosting TNT's Inside the NBA with Charles Barkley, Kenny Smith, and Shaquille O'Neal, Ernie is an award-winning sports broadcaster and sports journalist. His amazing story delves into his marriage, having and adopting children, his battle with cancer, and all the challenges and hijinx of working in live TV in the sports world. When Ernie is not behind the mic, sporting his signature bowtie, he is in Braselton, Georgia, with his wife, Cheryl, and their six children, four of whom are adopted. For media requests, please contact Kerry Vance at Choice Media. © Copyright Ernie Johnson Jr. All Rights Reserved. Designed by Apricot Services.